If you would like to connect your users or get feedbacks then you can use FanWall in your app. Push commercial and offers to your clients and get the feedback. Let your friends share their impressions and emotions via your app. How can I embed the FanWall module to my app? Set the "near distance" option. That will help your users to find their companions that are nearby. NOTE: this option is setted to "1 mile" by default. 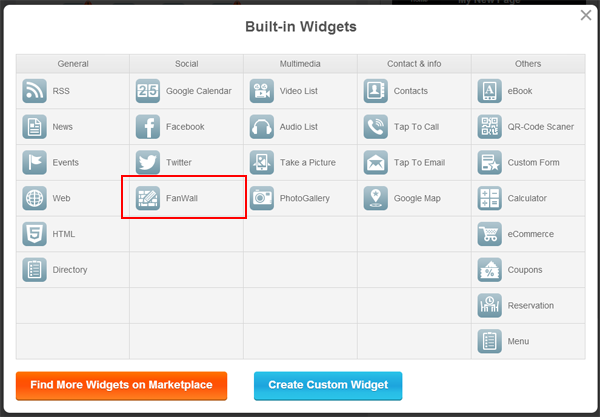 With the help of the "+Add" button you can add a message to your Wall via Dashboard. Press the button and fill in the fields in the popup. You can create a message with an image or text only. You can delete the image upload with the help of the “Delete image” button. 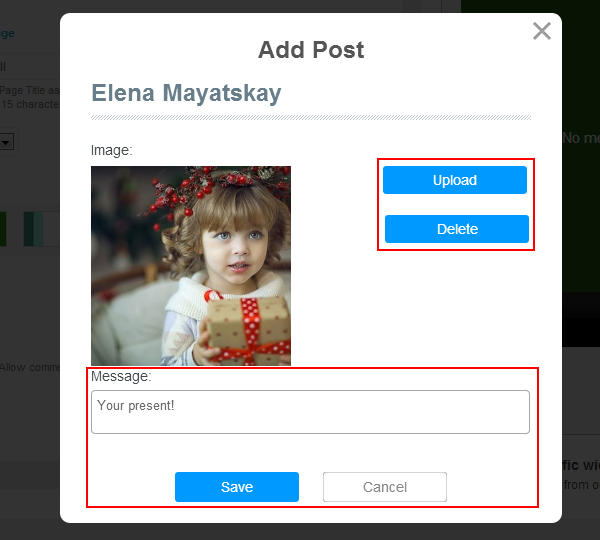 After you press the "Save" button your message will be added to the message list and your users will get the opportunity to read it using their devices. NOTE: the post will be created under your ibuildapp.com account. If you would like to create a post, using Facebook or Twitter account, you’ve got to use your device. You can edit all the messages posted on your Wall via iBuildApp.com. Use the icons on the right of the posts to edit or delete messages. To update the list of the messages use the "Update" button. Can I moderate my Wall? Login ibuildapp.com under your account and open the Wall in the App Constructor. You will find the list of all the posts on your Wall. Find the post you would like to moderate. Note, that you can edit a post even if you are not its author. To edit or remove use the icons on the right.